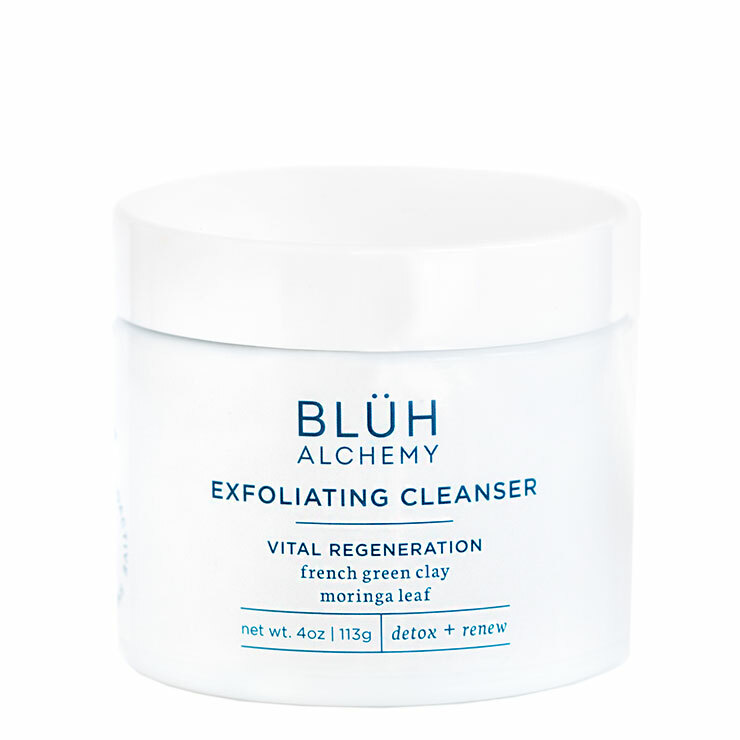 Use Blüh Alchemy Exfoliating Cleanser to gently polish away tired skin and reveal a brighter, smoother looking appearance without leaving it feeling stripped of its natural balancing oils and acid mantle. 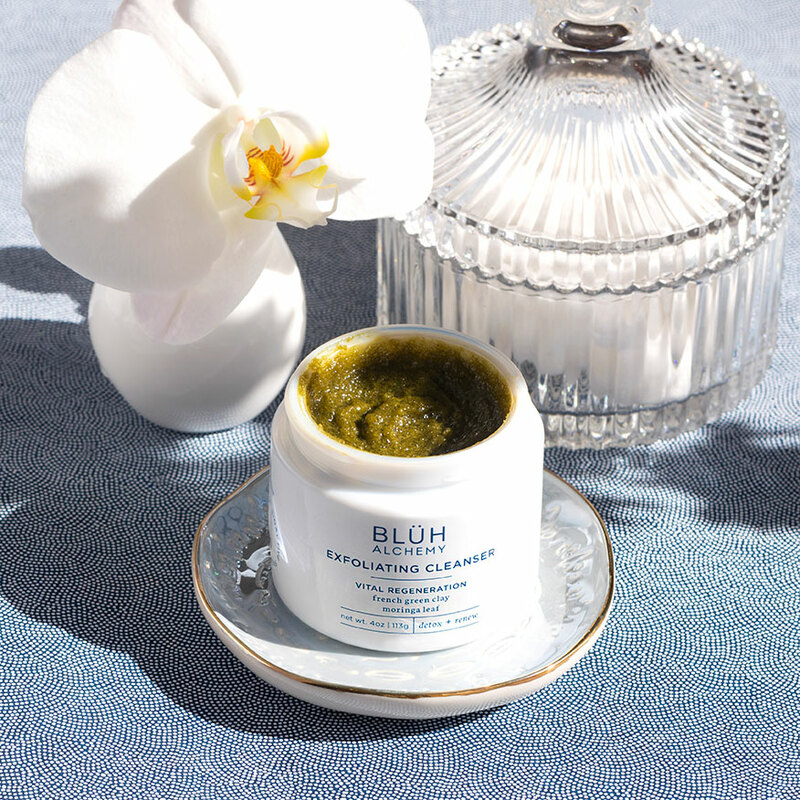 This cleanser is appropriate for most skin types and employs gentle sucrose and French green clay combined with botanical actives to give skin a smooth, detoxified and balanced feel. Kakadu plum gives skin a bright and revitalized look, while moringa visibly reduces fine lines, wrinkles, and sagging. Skin is left feeling silky smooth and hydrated with a youthful, glowing appearance. Perfect for most to all skin types. Apply to damp skin and gently massage in small circular motions, avoiding the eye area. For a feeling of deep cleansing, leave on skin for 2-3 minutes before rinsing with warm water. Pat dry and follow up with serum, facial oil, or moisturizer. For best results use 2-3 times weekly.